Below you’ll find various mentions of Utelogy in the news, press releases, awards and mentions across industry publications. Click on the links to read the full story. Software and softer strategies can help integrators stay competitive as hardware margins shrink. Industry experts discuss how software can change the industry. to discuss Application Programming Interfaces (APIs) and drivers. existing rooms while migrating to the control solution as the systems are updated. Our own Bill Tinnel discusses how data can help make better technology deployment decisions. the nation’s fastest-growing private companies, Utelogy ranks 984. Utelogy is mentioned as a solution available for tech managers seeking pain-free growth. Utelogy continues to grow and expand its product by adding veteran AV product manager. and Military Systems for multi-level classification video conferencing, command, control and operation centers. Keeping client’s AV systems up to date can be a challenge. This episode discusses the pros and cons of remote and on-site updates. added U-Schedule to manage rooms and assets will any of its partner company products. the Visual Framework that allows users to create custom GUIs. Patrick Murray interviews Frank Pellkofer, for a discussion on enterprise sales and why AV is the crown jewel of IT. and what it means to the architectural vision for the enterprise. The author explores how these new technologies are being used to enhance collaboration. William Tinnel discusses how usage data helps tech managers make future spending decisions. Torruella discussed trends in managed services, interoperability and security. One of the greatest trends to emerge is the ability to collect and analyze data. Utelogy now has global distribution with the EMEA deal signed with U-Topia Technologies. introduces the paradigm shift that Utelogy brings to the market. Utelogy releases its own services portal to assist IT VARS and Integrators in establishing long term services revenue. Utelogy VP, Global Business Development, Bob Sharp delivers an introduction to the Utelogy platform. The Utelogy platform captures Control System award as well as a Video Wall Solutions award for 2018. COE Frank Pellkofer discusses Utelogy's first independent stand at ISE. In this week’s video, Alesia Hendley, AV operator at The Berry Center in TX, explains agile from the perspective of Utelogy. business goals to consider as you start to gather and analyze AV data. Various perspectives on the impact of Net Neutrality in the AV industry. Various industry experts comment on the evolution of software-based AV. Utelogy Corporation responds to growth with another new hire, most recently adding an inside solutions sales consultant. We're excited to be part of this list of innovate professional AV products for 2017. 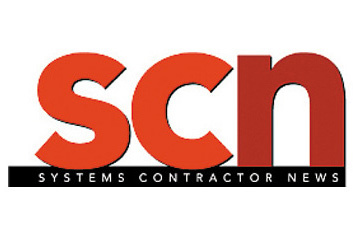 In 2016, Mr. Sharp was inducted into SCN's (System Contractor News) prestigious 'Hall of Fame' for having spearheaded the paradigm shift of delivering high quality audio and video over standard network infrastructure. Software and audiovisual veteran is selected to lead product development as Utelogy continues its growth and product expansion. monitoring and management of AV and IoT systems in Australia and New Zealand. and how these applications can help your ROI with diagnostics, data collection and system management. BG Media Solutions Inc. as its manufacturer representative for the province of Ontario. as its manufacturer representative for Ottawa, Quebec and the Maritimes. CEO Frank Pellkofer discusses how your technology spend should affect student learning outcomes in this piece that features new technology for education. With its recent success and growth, Utelogy Corporation has selected Connect-West to represent the company throughout the commercial AV market in Western Canada. Information on who’s attending InfoComm and how AV technology decisions are being made. Steve Greenblat from AVNation finds out what makes Utelogy unique. rAVe collects details on Utelogy’s new user-interface at InfoComm 2017. Justin O’Connor gives an overview of Utelogy’s U-Computer. The Utelogy 2.0 release is discussed by Justin O’Connor in his weekly update on new products and services. In addition to other new features, Utelogy Corporation releases advanced analytics which gives administrators access to in-depth reporting on room usage, equipment stats as well as help ticket integration and access to system documentation. Utelogy’s James Gonzalez explains Utelogy at UBTech 2017. What is the business value of software-defined AV? With its recent success and growth, Utelogy Corporation has selected IDM Consulting and Solutions in the Netherlands for support and professional services agreement in Europe and the Middle East. Utelogy, software-defined AV solution provider, adds key product development role. A list of industry experts, including our own, CTO Scott McGarrigle, were asked about what to see and pay attention to at the industry’s event in June, in Orlando, Florida. to the same level as the rest of their enterprise data networks. as an early champion of the software-defined AV movement. Which Cloud Will You Choose? Which platform you choose will come down to several factors including the level of investment with current software, hardware and infrastructure vendors. Communications Engineering Inc., (CEI) has signed on as a Utelogy solutions partner. AVNation readers nominated and selected Utelogy a winner in its first annual awards announced at ISE 2017. 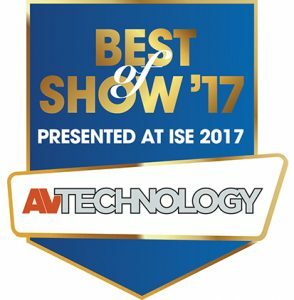 Utelogy’s 2.0 release is recognized at ISE 2017 with ‘Best of Show’ status from AVTechnology Magazine. Software-Defined AV solutions that can be virtualized or leveraged on any common data center and network infrastructure. Utelogy continues to expand the developer team adding technical and leadership experience. Utelogy Corporation has signed a strategic partnership with Texas-based ProVideo Solutions to service clients throughout Texas, Louisiana, Oklahoma, and Arkansas. Utelogy Corporation, creator of software for control and management of audiovisual systems for enterprise and education, continues to expand its team with additional support and integration resources. Utelogy Corporation, creator of software for control and management of audiovisual systems for business and education, is continuing to develop a world-class enterprise control platform with the hiring of new software developers. The additional investment will facilitate further development of the platform to enable digital transformation in higher education and corporations around the world. As a member of the Cisco Solution Partner Program, Utelogy is able to quickly create and deploy solutions to enhance the capabilities, performance and management of the network to capture value in the Internet of Everything (IoE). expands its organization with the hiring of Bill Tinnel to lead sales in the Northeast. new or different with technology that expands capabilities or opens up markets. automate and connect everything from classrooms to boardrooms. The combination of Utelogy and OneScreen by Clary Icon is a total software-defined solution offering turnkey video collaboration, bridging, meeting tools, and AV control, management, and services from a single, cloud-based solution. The latest release of Utelogy’s AV control and services platform integrates with your Active Directory, other enterprise software, and UC Platforms to enhance collaboration and add revenue opportunities for AV integrators. connectivity products which enable cost-effective AV streaming over standard IP networks. Learn how BCCI Construction Company in San Francisco deploys IP-based AV system using Utelogy in its expanded corporate facility. BCCI chose Utelogy because of the flexibility the solution offered. to collaborate beyond the walls of the classroom. This article discusses the trends in higher ed technology. The combined solution is ideal for higher ed applications, campus-wide broadcasts, and digital signage. Giving your higher ed end users the edge. Classroom technology is changing dramatically as we look at online learning. This article by Kirsten Nelson highlights the essentials. throughout the industry, including our own, Scott McGarrigle, CTO. The ongoing convergence of IP and IT has enabled certain market segments to adopt 4K technology and infrastructures relatively quickly. In order to sell complete solutions in the future, it’s the IT skillset that will be necessary. Utelogy Corporation, creator of enterprise AV control and management platform, has signed a partnership agreement with Axis Audio Visual for exclusive distribution rights in Australia, New Zealand, and the South Pacific islands. This article, by Lindsey Adler, editor SCN, features discussion on how desired business outcomes are influencing technology decisions at higher education institutions. At Issue—What AV business opportunities are opened up by remote management and control? See how industry experts including Scott McGarrigle, Utelogy CTO, answer this question. and highlights how the college uses Utelogy to promote 21st century active learning. At Issue—What are some typically installation missteps, and what are some common problem solvers? See how Scott McGarrigle, Utelogy CTO, and other industry experts answer this question. Howard Story, Distance Education and Media Coordinator at El Camino College and Utelogy user, shares his perspective on connected AV and IT departments. The convergence of AV and IT technology, has allowed room control to deliver true collaborative unified communications. Because there’s an app for everything today, the real question is how they will be unified into an easy-to-use control system for clients.